HEALTH MINISTER JAMES Reilly has said the government is more than happy to meet with St Vincent’s Hospital officials in court – if it comes to that. 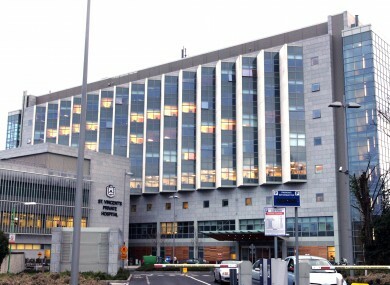 The HSE has threatened to cut funding to St Vincent’s because consultants receiving a State salary are still working in both public and private hospitals on the campus. However the board has said it believes it has met the full commitment it gave to the Public Accounts Committee in January this year. The board said last month that it was seeking legal advice on what action should be taken. Speaking on RTÉ’s The Week in Politics, Reilly said that the hospital has “managed in the past to come around to compliance” and that the governance of these issues was a matter for the board. He said they “need to take action to become compliant”. However he said that if they felt there was a case to be made in court, “we’ll be more than happy to meet them there and make our case very firmly on behalf of the Irish people”. Email “Reilly: We'll be more than happy to meet St Vincent's in court”. Feedback on “Reilly: We'll be more than happy to meet St Vincent's in court”.